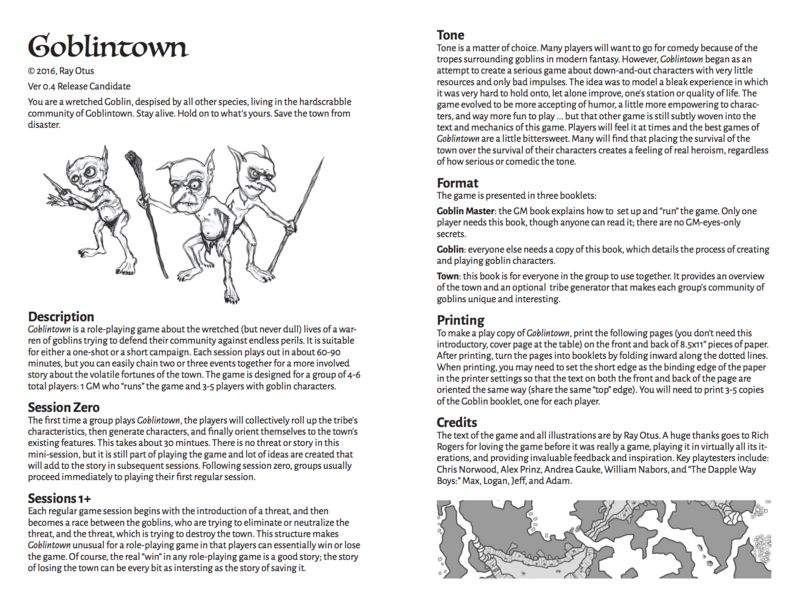 Goblintown is a role-playing game about the miserable (but never dull) lives of a warren of goblins trying to defend their community against endless perils. 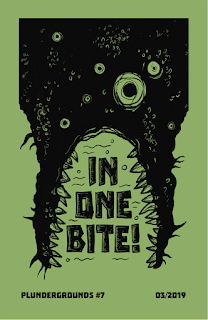 It is suitable for either a one-shot or a short campaign. Each session plays out in about 60-90 minutes, but you can easily chain two or three events together for a more involved story about the volatile fortunes of the town. The game is designed for a group of 4-6 total players: 1 GM who “runs” the game and 3-5 players with goblin characters. Each regular game session begins with the introduction of a threat, and then becomes a race between the goblins, who are trying to eliminate or neutralize the threat, and the threat, which is trying to destroy the town. This structure makes Goblintown unusual for a role-playing game in that players can essentially win or lose the game. Of course, the real “win” in any role-playing game is a good story; the story of losing the town can be every bit as interesting as the story of saving it.